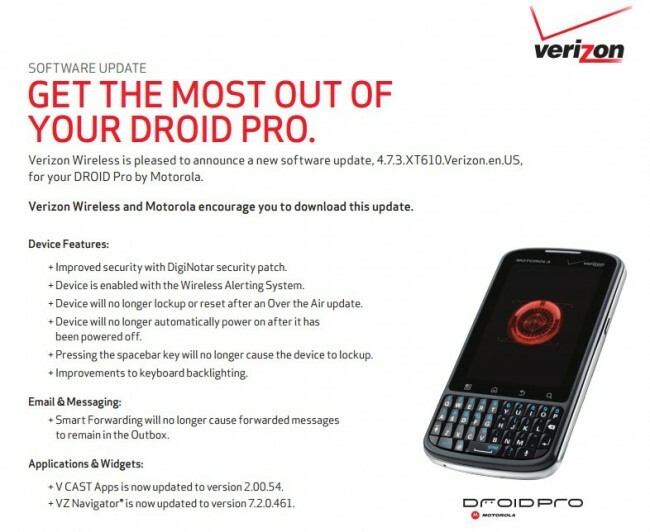 A new Motorola DROID Pro update has been approved by Verizon as build 4.7.3. It’s not Ice Cream Sandwich, and it probably never will be, but it does address a handful of bugs including better keyboard backlighting. V CAST apps and VZ Navigator will also be loaded once the update is received. When these changelogs go live, you can usually expect to see the update hit your handset within a week. The update is 19.9MB in size. More info.